Michael Bennett gives us the lowdown on DC Bespoke, the mod-friendly bespoke shirtmaker, based just outside the centre of Manchester. The art of the modernist lies in his/her ability to create a well-balanced ‘look’, which pays close attention to detail. Even in less formal moments, a mod should always look their best. This is why I use DC Bespoke to make my shirts. Established in 1990 in Ardwick Manchester, Dave Collinge knows how to make a shirt, having been making them himself in his grandfather’s shirtmakers since he was 18. Dave’s shirts are truly bespoke. Each one is made from an individual pattern that he creates for each customer/ Block patterns are not used for his bespoke clients. This means that every shirt that you get from Dave is yours and yours only! Dave has a huge collection of fabrics, all of which are of the highest standard. Yet Dave is happy to provide a CMT –Cut, Make, and Trim – service for his customers. In other words you can take your cloth! As a mature man Dave lived through the rise of mods and understands what a mod shirt should look like. His knowledge of the ivy league period is extensive and he can give expert advice on making shirts in the tradition of Brooks Brothers – my last shirt was a pink Oxford. Moreover his skills and so well respected that he was commissioned by Ben Sherman to produce a limited line of ‘high end’ shirts, which were sold exclusively in London. Clearly Dave is a man who knows his stuff. I asked Dave about making for mods. He said: ‘I love making for mods as they know what they want. Mods understand how to dress and appreciate quality and craftsmanship. 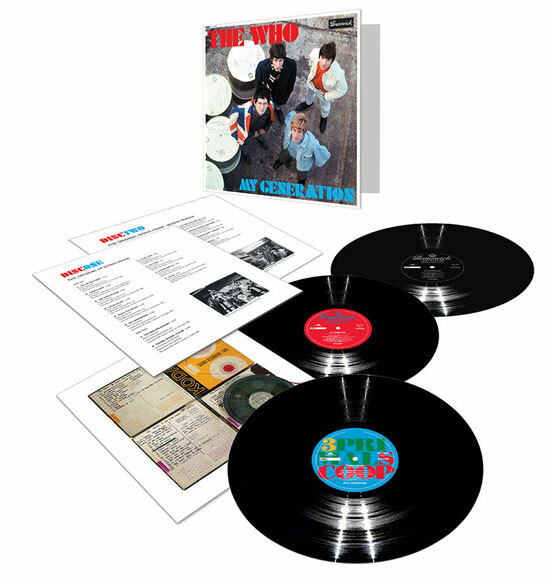 Most of my mod clients are looking for two things – styles that they cannot easily get of the peg and the perfect fit. Many like the ‘ivy’ look and will ask for Oxfords in the traditional Brooks Brothers style. 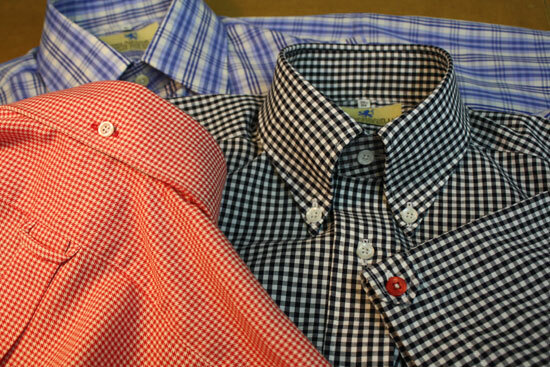 Others will want bold ‘window pane’ like the Ben Sherman and Brutus shirts. All mods want that lovely collar roll that really sets a shirt off. Since the Paul Weller Ben Sherman limited edition, lots of mods have asked for ‘candy stripe’, whilst others like the paisleys and floral prints. I have had twelve shirts made from Dave in the past two years, ranging from copies of DNA Groove styles, floral tunics, short sleeved ginghams and checks in the spirit of Ben Sherman and Brutus to copies of classic Brooks Brothers. 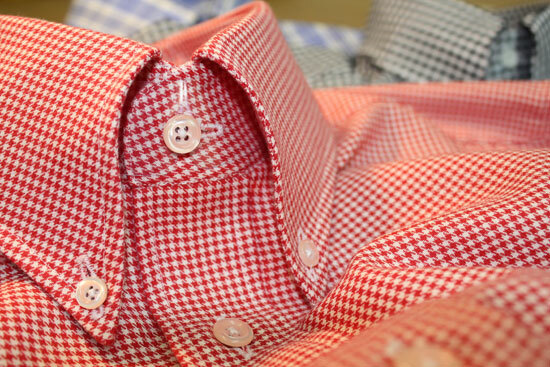 My final shirt was a lovely ‘Tulip’ collar in a pink Oxford weave. To say that I have been extremely happy with the quality and service that I have received is an understatement. Unlike almost every other shirt maker that I have tried, Dave carries out all the work on site. Many simply send their work out. For those who cannot get to Manchester, Dave is happy for you to send him a good fitting shirt and he will make the shirt to that specification. He is always happy to take callers, chat on Facebook and show visitors around his workroom. Dave is always in work on a Saturday and will even open up on a Sunday if that is the only day that a client can make it in. In short Dave loves to hear from people and talk about shirts. If you want to get in touch, details are below. 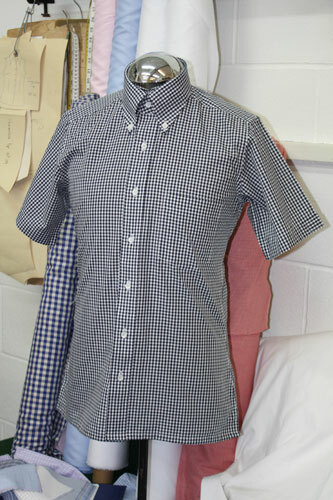 As for prices Dave will make you a shirt with your own cloth for £80, which includes the creation of your own pattern. 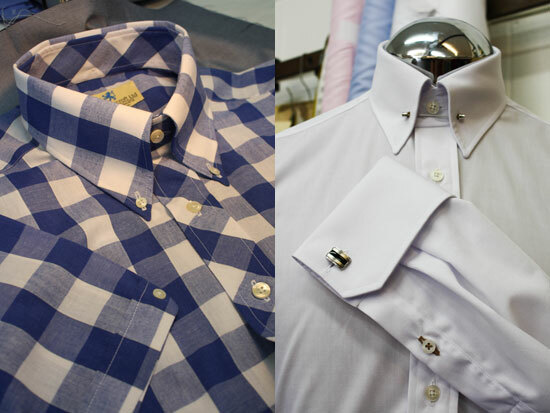 Shirts using Dave’s cloth start from £110. Would I use anyone else after using Dave? No!